The crime-ridden Sherman Hills Apartment Complex stands to lose alot of tenants and money unless they improve their management of the property. A report issued by H.U.D, the Department of Housing and Urban Development called management unsatisfactory in the aftermath of the shootings of two children at the complex in August. H.U.D provides rent subsidies to some 340 households at Sherman Hills and the money can be pulled if the property does not maintain H.U.D standards including safety and security. Sherman Hills has been the center of numerous violent crimes in recent years and has been criticized for its handling of the property. 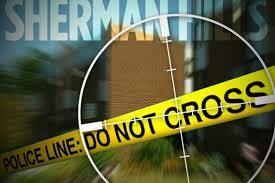 H.U.D inspectors looked over the property in September after the two children were wounded by gunfire. Inspectors will return to Sherman Hills in the days ahead. Management has until November 30th to respond to H.U.D’s first inspection report. Wilkes-Barre Mayor Tom Leighton says managers at Sherman Hills have not implemented a variety of safety and security measures recommended by the police department. Managers at Sherman Hills refused to comment when contacted by Eyewitness News. PHILADELPHIA – This tragic incident impacts the quality of life of residents of this community who have a personal interest to live in a neighborhood that is safe to raise their families without fear. As such, the U.S. Department of Housing and Urban Development (HUD) takes these acts of violence very seriously. HUD provides rental assistance to 344 households living at Sherman Hills and has a responsibility to work with the owners to make certain the property is well maintained and properly managed. HUD recently conducted a comprehensive review of the property to assess management’s performance and compliance with HUD requirements, specifically in the following areas: general appearance and security; maintenance and operating procedures; financial management and procurement; leasing and occupancy; tenant/management relations; and general management practices. Based upon this review, HUD concluded that the management of the property is unsatisfactory and asked the owners to respond to the review’s findings by November 30. In addition, HUD’s Real Estate Assessment Center will conduct a comprehensive inspection of the property to make certain the physical conditions at Sherman Hills meet HUD standards. HUD is coordinating closely with local officials on the conditions at the apartment complex.